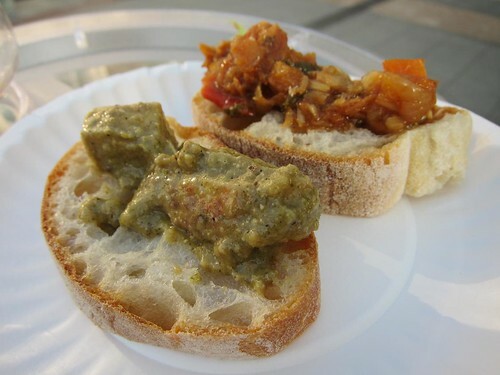 Summer isn't over yet and there are still more great food events coming up! One of my favorites is LA Loves Alex's Lemonade (see my recap from the 2011 event) which raises funds to fight childhood cancer and it all started from a little girl called Alex and her lemonade stand ... The LA event last year raised half a million dollars! 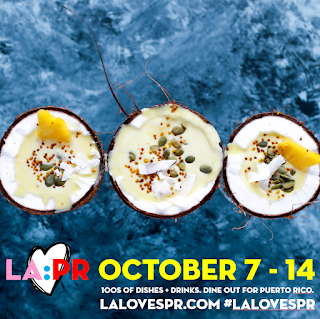 This year's event will take place on September 28 and is hosted by Chef Suzanne Goin and business partner Caroline Styne (AOC, Lucques, Tavern), and Chef David Lentz (The Hungry Cat) and brings in LA's superstars like Providence, Bestia, Animal, Trois Mec, Rustic Canyon and more. 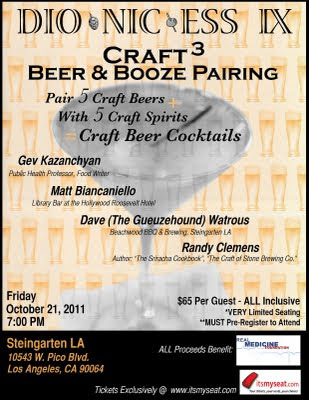 Mixologists, sommeliers, and wineries will also be there including Eric Alperin from Varnish, Silverlake Wine, Hitching Post and many more. There will be guest chefs from out of town including Matt Acarrino (SPQR in SF) and Chris Bianco (from Pizzeria Bianco in Phoenix! 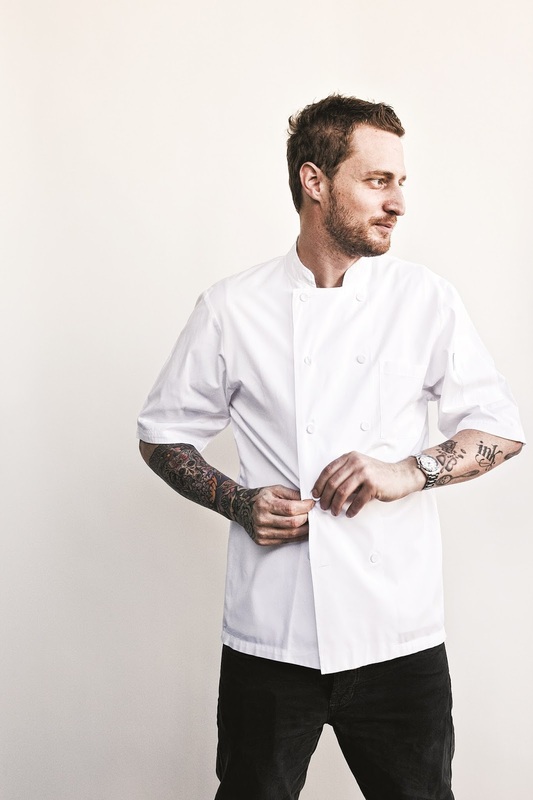 ), Michael Tusk (Quince in SF), Jonathan Waxman, Adam Perry Lang, Brian Huston (Publican in Chicago), Giada de Laurentiis and more. Oh, as a bonus, Neil Patrick Harris is an honorary committee member. He was there in 2011 so you might catch a glimpse of him again. Children 12 and under get in for free with accompanying adults. 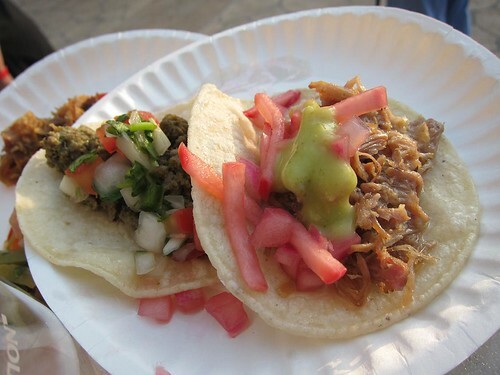 The LA Street Food Fest returns to the Rose Bowl in Pasadena on Saturday, July 21. The full vendor lineup hasn't been released yet, but usually the vendors from previous years would come back, so check out last year's highlights to know what to expect! The term "Street Food Fest" has been defined pretty loosely, since now it's not just food carts/stalls/trucks, but also various restaurants and dessert shops participating. 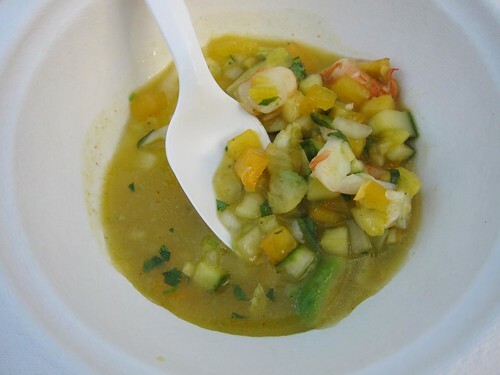 And it's not just LA, the Food Fest also brought some of the best from Baja, including the uni tostada from La Guerrerense in Ensenada. They may just be making a repeat appearance this year. This little seafood cart has been featured many TV shows recently, so if you haven't had the time to drive down to Baja, try it locally at the food fest! One of the best chefs in Baja, Javier Plascencia is also coming back this year. Last year he brought a lot of goodies, including these grilled oysters topped with sea asparagus. I don't know why the line wasn't longer at this booth, but hey, better for me. East LA Meets Napa, the annual fundraiser benefiting AltaMed, is a special event for Los Angeles. 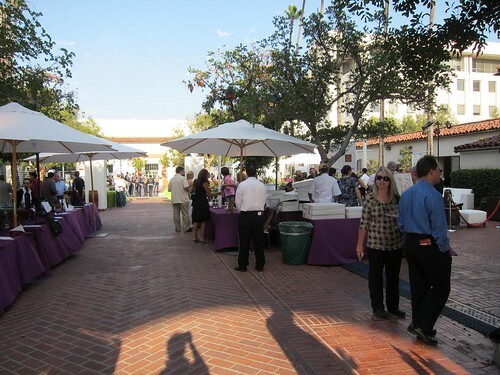 Not only does it raise money for free quality healthcare for those who need it the most, it is the only event of its caliber that gathers Latin restaurants around town and Latino-owned or operated wineries of California under the same roof. Well, technically there's no roof. There are two connected courtyards at Union Station and while last year's event occupied only one of them, this year they expanded to both and even filling up the adjoining hallway. 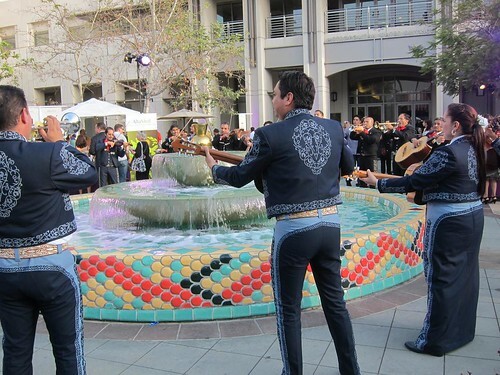 There's even a mariachi band making its way around the event. As wine kept flowing, people started to salsa on and in front of the stage. The evening started with a VIP reception at Traxx, which had more wine tasting - some of which were also available at the main event. 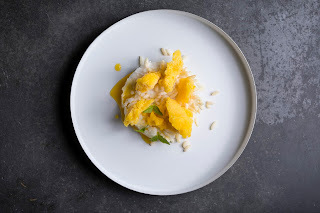 This year's event is also special since in accordance with Mexico's bicentennial anniversary, they also had wineries from Baja's Valle de Guadalupe participating, along with guest chef Patricia Quintana from restaurant Izote in Mexico City. 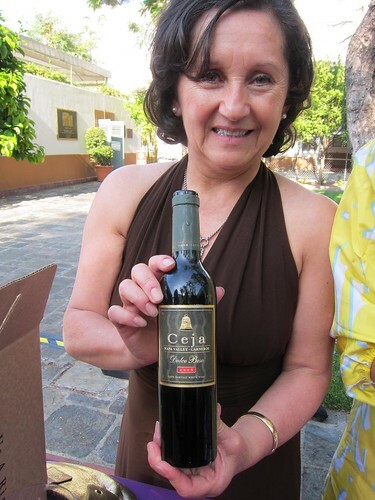 There were plenty of Napa cabs, but at the VIP reception we also got to try a sweet blend of late harvest grapes from Ceja. 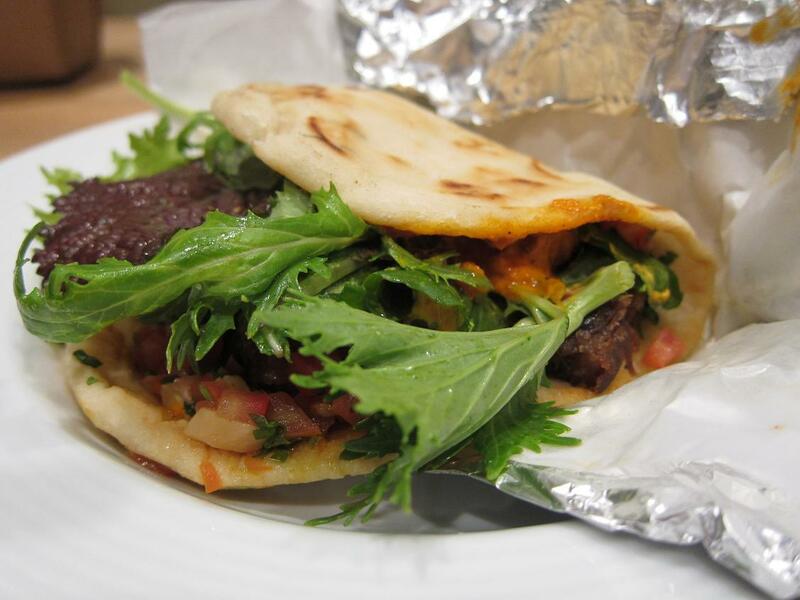 I had my first tastes of Cook's Tortas. It's not the full experience but a great teaser, using the same bread they use in their regular tortas. I'll be making it out there soon. 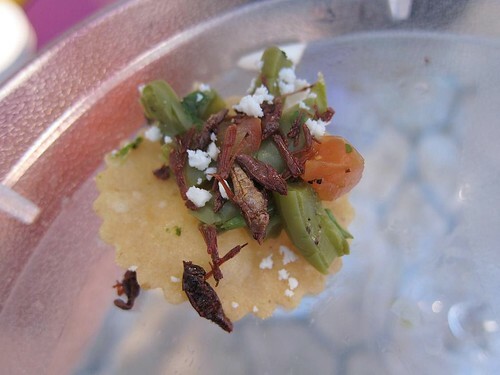 These weren't as good as Guelaguetza's chapulines but it was fun having my friends try them for the first time. It seems like there are plenty of food truck events popping up these days, but since they're still lacking on the westside and it benefits a good cause, why not? 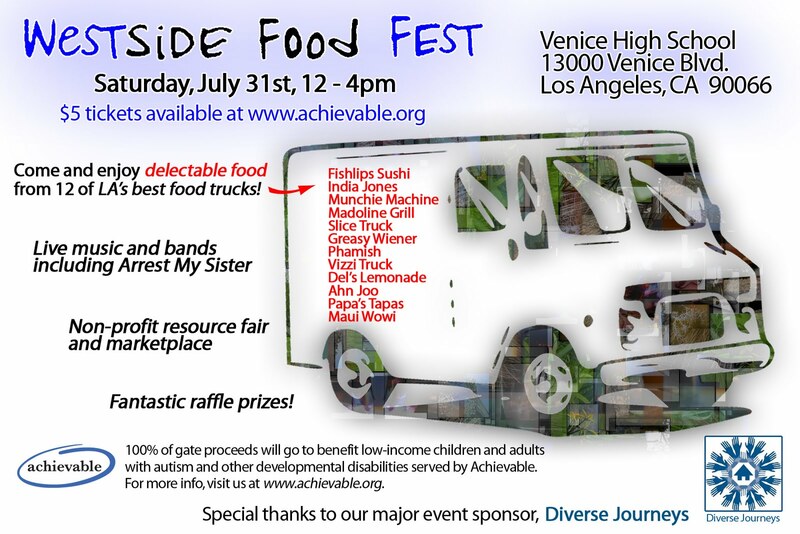 The Westside Food Fest will feature a dozen food trucks (including India Jones, Manila Machine, Ahn Joo, Del's Lemonade), live music, and even raffle prizes! 100% of the ticket proceeds (a mere $5 entrance fee that may get you a raffle prize) goes to Achievable, a non-profit organization which helps individuals with developmental disabilities such as autism. 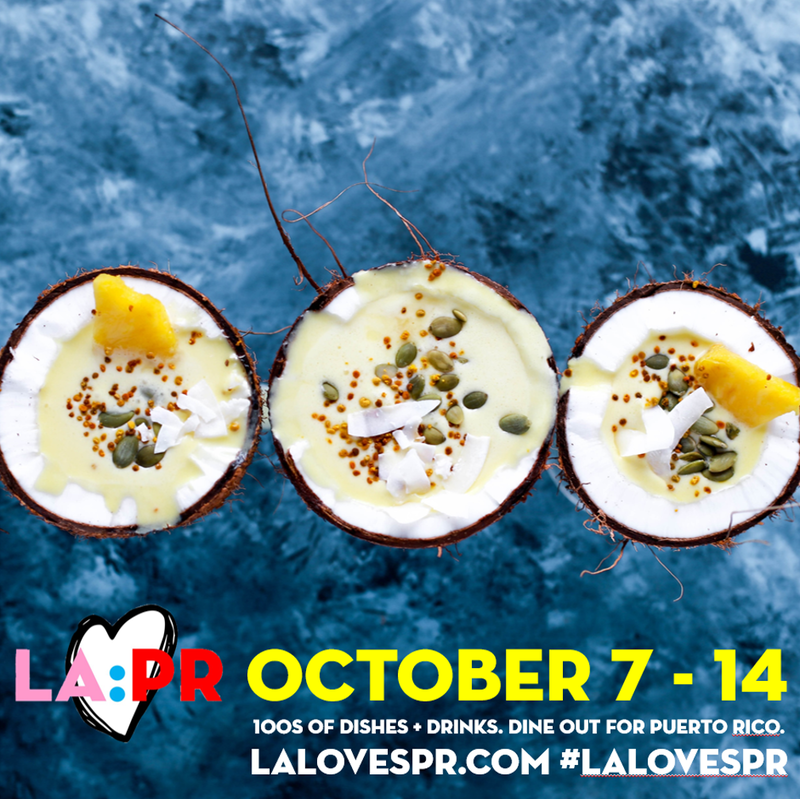 Save the Date: Plate by Plate on August 14! Plate by Plate is an annual "tasting benefit" by Project by Project (such clever names). 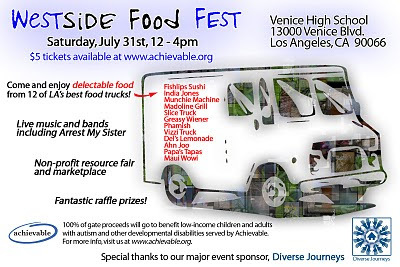 The 8th annual event is coming up on Saturday, August 14, 2010, partnering with Health Justice Network. I'm pretty excited about the lineup because some of these I rarely see at these types of events, including Mo Chica, Bistro LQ, The Foundry, and include restaurants from celebrated names like Nobu, Craft, all the way to San Gabriel's Hot Stuff Cafe and blogger-celebrated downtown luncheonette Starry Kitchen. Wines, limoncello, sake and beer from Stone Brewing Co. will flow freely along with POM, DRY soda, Naja tea and more. 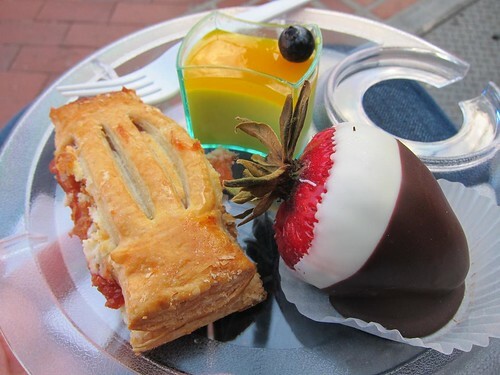 Finish with Yogurtland, desserts from Susina Bakery and Valerie Confections. Since Health Justice Network acts as a collaborative voice for the API community for the right to quality health services, Plate by Plate will also have special API celeb attendees, Aziz Ansari included. Advance purchase tickets are $125 or $200 for VIP and can be purchased here. But act fast and get the regular tickets here on Goldstar for just $68! On June 27 Gev Kavanchyan works together with Firestone Walker Brewing Company for a fundraising to benefit Real Medicine Foundation which provides medical support to disaster, post-war, and poverty stricken areas. 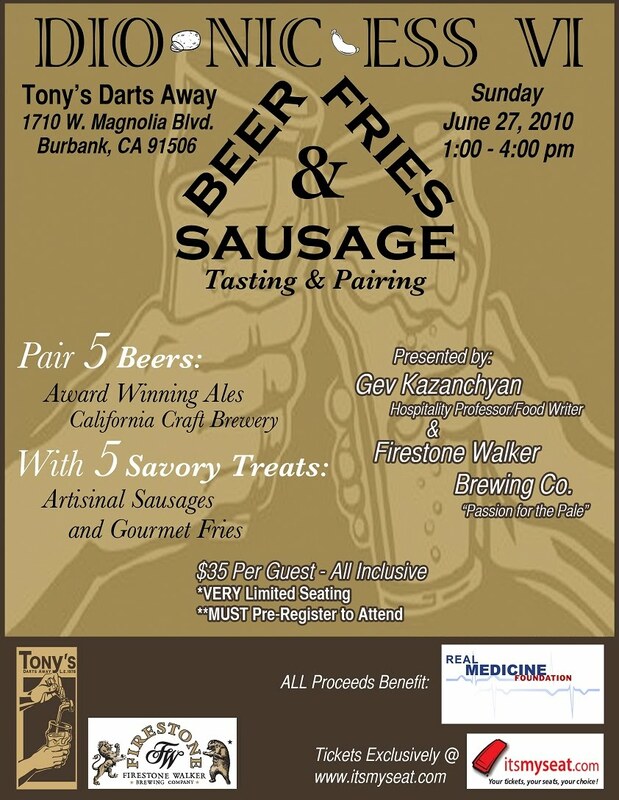 They will pair five beers with artisanal sausages and fries at Tony's Darts Away in Burbank. Tickets are $35 (all inclusive) per person and all the proceeds will go to the charity. Since there'll be no ticket sale at the door, you must get it online here. In conjunction with Vertical Wine Bistro, bloggers Mattatouille, RumDood, and I will be hosting the Haitian Libations Charity Event to help the earthquake victims in Haiti. What: 50% of the profits from the bar/lounge area will be donated to Artists for Peace and Justice who will personally deliver our aid to Haiti the week after! This includes cocktails, wine, and food sold at the bar area. 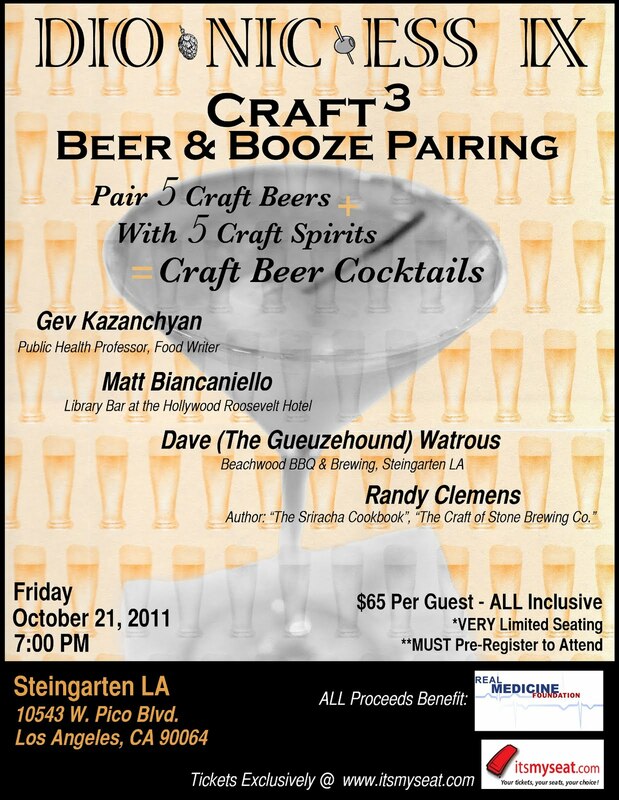 Also, us three bloggers will be personally making drinks behind the bar. 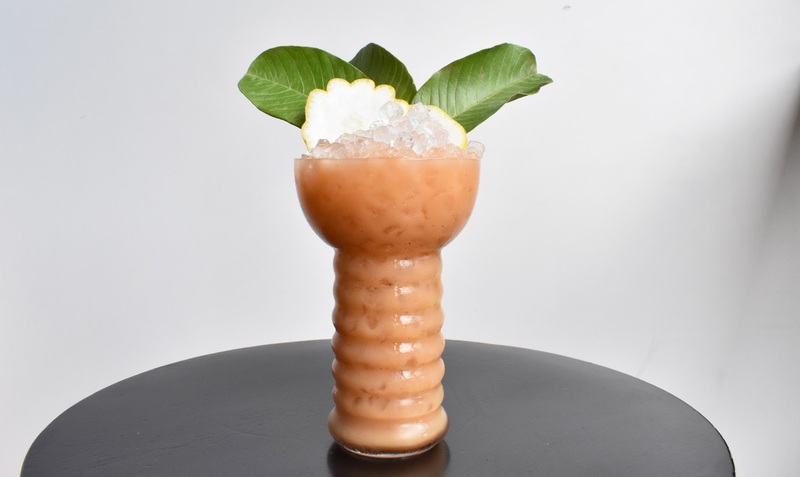 We will be serving these three drinks for the night: Aviation, Vieux Carre, and Port-Au-Prince (a RumDood-original cocktail using the Haitian rum, Rhum Barbancourt). Play Trivia and End World Hunger! FreeRice donates 20 grains of rice to the UN World Food Program for each trivia answer you get correct! They have multiple trivia categories such as English Language, Art, Math, etc. Some of you may be playing games on facebook right now, but instead of that, why not play this trivia and do some good in the meantime? Take a few courses through one of the many online accredited degrees and start marketing your restaurant today.